a selection of Sci-fi inspired bleeps and noises will gradually get louder and attract their attention. 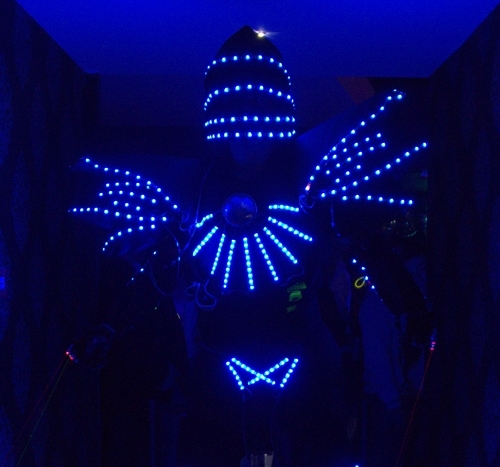 Robot-Ted suddenly appears at the doors of the room and slowly makes his way to the performance area. He is accompanied by a crew member from NASA in a bright orange jumpsuit who guides him into place. As he moves past the tables your guests will be in awe and slightly stuck for words at the sheer site of him. When he reaches the front of the stage he will temporarily power down for a few moments before the sound track kicks in. 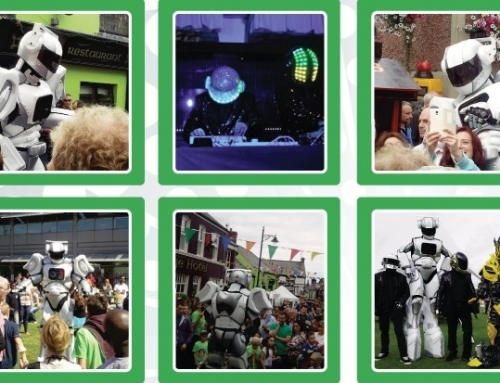 When the music starts he launches straight into his dancing choreography with all forms of Body Popping and Robotics. The ultra modern dance styles covered are Hits, Ticking, The Wave, Dime Stops and also some serious Foot Work. Space Man and Walking on the Moon. The cool music and the hynotic movement of the robot combine to deliver real WOW Factor. When the music ends the real fun begins because its time now for the Robot to start to interact with your clients. Everybody wants to get a selfie or have their picture taken with him so we slowly move around the room and meet all the guests. phones and safely leads the Robot around to everyone. This is when Facebook and Social Media come into play big time because most people upload photos of their encounter with Robot-Ted. The branding on his ipad will feature in the pictures also so its Win Win for all involved. When Robot-Ted finally takes his exit he leaves a excited buzz in the room, people are genuinely amazed and have enjoyed meeting him. Audience Interaction and Meet + Greet / Selfies for a further 20 minutes. Do I need to hire a sound system? No, we have a powerful portable system for music and sound effects. If you have a PA already in place we will use it. If its a large venue we would require a system to be in place. We can supply a full large sound system if needed at an extra cost. Another cool idea is to use Robot-Ted as the ultimate Greeting Host. Along with his NASA Crew Member he can welcome your guests to the venue. Do you have other Robots? 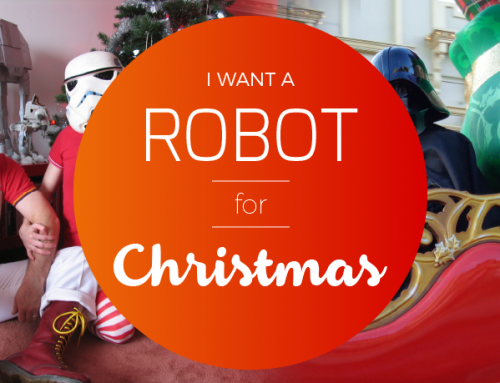 Yes, we have a selection of the coolest Robot Characters all under the one roof. 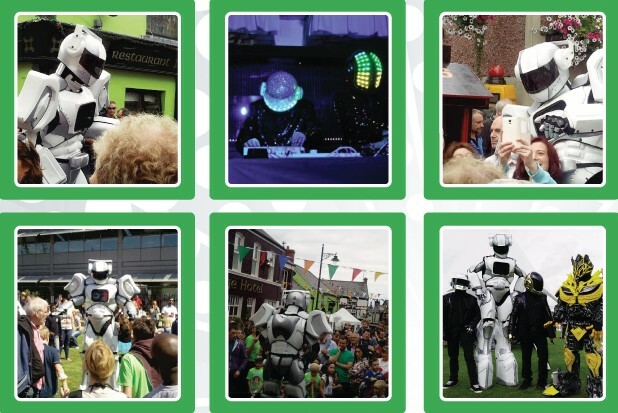 Along with the giant Robot Ted we have the Transformer Bumble Bee, from Star Wars we have 2 Storm Troopers, and the ultimate Dj act.. Daft Punk Tribute.